Hi Sanil, I would like to speak with you briefly to see if you're a good fit to coach me. Please contact me at your earliest convenience. Hi sheila, I would like to speak with you briefly to see if you're a good fit to coach me. Please contact me at your earliest convenience. Hi Rich, I would like to speak with you briefly to see if you're a good fit to coach me. Please contact me at your earliest convenience. Hi Mona, I would like to speak with you briefly to see if you're a good fit to coach me. Please contact me at your earliest convenience.  Hi Smita, I would like to speak with you briefly to see if you're a good fit to coach me. Please contact me at your earliest convenience. Hi Robin, I would like to speak with you briefly to see if you're a good fit to coach me. Please contact me at your earliest convenience. Hi Todd, I would like to speak with you briefly to see if you're a good fit to coach me. Please contact me at your earliest convenience. Hi Avni, I would like to speak with you briefly to see if you're a good fit to coach me. Please contact me at your earliest convenience. Hi Johanna, I would like to speak with you briefly to see if you're a good fit to coach me. Please contact me at your earliest convenience. Hi Umesh, I would like to speak with you briefly to see if you're a good fit to coach me. Please contact me at your earliest convenience. Hi Matthew, I would like to speak with you briefly to see if you're a good fit to coach me. Please contact me at your earliest convenience. Hi Nelson, I would like to speak with you briefly to see if you're a good fit to coach me. Please contact me at your earliest convenience. Hi James, I would like to speak with you briefly to see if you're a good fit to coach me. Please contact me at your earliest convenience. Hi Mohamed, I would like to speak with you briefly to see if you're a good fit to coach me. Please contact me at your earliest convenience. Hi Louie, I would like to speak with you briefly to see if you're a good fit to coach me. Please contact me at your earliest convenience. Hi Laurie, I would like to speak with you briefly to see if you're a good fit to coach me. Please contact me at your earliest convenience. Hi Ginger, I would like to speak with you briefly to see if you're a good fit to coach me. Please contact me at your earliest convenience. Hi Dan, I would like to speak with you briefly to see if you're a good fit to coach me. Please contact me at your earliest convenience. Hi Devon, I would like to speak with you briefly to see if you're a good fit to coach me. Please contact me at your earliest convenience. Hi Ommid, I would like to speak with you briefly to see if you're a good fit to coach me. Please contact me at your earliest convenience.